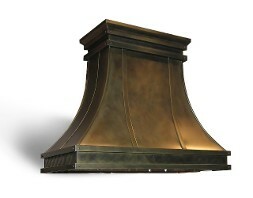 Some time ago we approached Modern-Aire to make a hood exclusively for Eurostoves. We flew to the Modern-Aire factory in CA to discuss this project. We asked them to make us a hood that would put a potential Eurostoves hood in the top 3 in the US from a functional perspective. They said that was absolutely no problem. 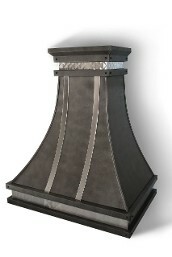 After trying numerous prototype hood designs, we felt we had the one that could achieve our goal. We then carried out comparison tests against what we felt was our main competition , Wolf, Vent-a-Hood, Viking, these hoods are regarded by many as the best pro-style hoods on the market today. This was to our knowledge the first time any manufacturer, let alone a retailer, had carried out direct comparison tests and published the results for all to see on a hood vs hood basis. All the hoods tested were pro- style with 600 cfm internal blowers using an 8” duct. We tested exiting cfm’s over distances of 2’ 7’ 12’ 17’ and 22’. The noise level tests were carried out from exactly the same location under and the draw tests were carried out at exactly the same locations to the front of each hood. 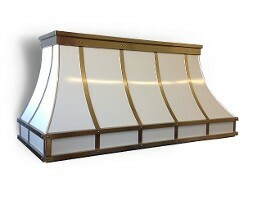 So why did we even bother to make another pro- style hood?, Our driving force was to design a pro-style hood that can ventilate today’s high demanding residential pro-style ranges better than any other. Eurostoves does not have an unlimited advertising / marketing budget let alone a big time company name, nor could we come up with a catch one liner or even a mythical story to sell our hoods. 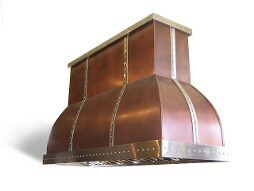 So what we did was to make the best functional hood we could that would speak for itself. During this project we especially had in mind the Capital Culinarian series of ranges and range tops, which in our opinion is simply the best pro-style range available today for home use. We felt that if we could design a hood to cope with the Culinarian series of ranges and range tops it would easily cope with any other range on the market today. • All our Eurostoves Pro Style hoods include a choice of two centrifugal blower motors 600 cfm and 1200 cfm internally. 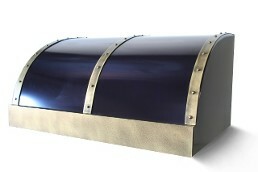 ESPS series canopies can also be ordered for use with a remote or inline blower. 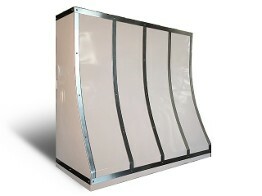 All ESPS hoods can be made specially made for 27” depth. 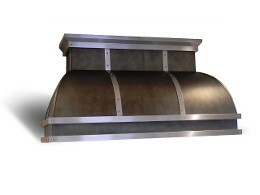 • All our ESPS hoods offer infinite speed control so you have total control over your ventilation needs. 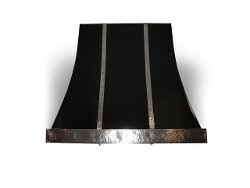 • All our ESPS hoods come standard with bright halogen lighting that provides full cook top illumination. You control the amount of lighting you need from full bright cooking illumination to a low subtle light to show off your range at night. All controlled with a built in dimmer control switch. • All our ESPS hoods utilize easy to remove stainless steel baffle filters to extract over 97% of grease while allowing the smoke to pass through the baffles as efficiently and as fast as possible.